Early January is here at last and El Kaiser and J.D. are ready to explore all the unique creations launched on the floor of the Consumer Electronics Show in Las Vegas. And as with last year’s round-up, the specifications and features on the Kohler Intelligent Toilet amaze. This week’s episode also features a look at recent technology news and a rave review for the animated Spider-Man: Into the Spider-Verse film. Jump into 2019 with Episode 297! Fresh off the latest Facebook user-abuse apology media tour and visit with the U.S. Congress, Mark Zuckerberg made a slew of announcements at this week’s F8 Developers Conference in California, which El Kaiser and J.D. discuss on this week’s episode — along with other news from the tech realm. Episode 271 also sports a quick look at the big geek movies headed into theaters this summer and an explanation of “malvertising.” Spin up this latest installment of Pop Tech Jam to hear it all! T-Mobile for unlimited data plans, and new tools for Google Maps. Oh, and the Queen of England is doing her part in the global war on cybercrime. Tally-ho! The hills are alive with the sound of earnings calls! Alphabet, the parent company of Google, has now passed Apple and wins the Most Valuable Company prize. The murmurs started Monday night , when Alphabet’s market cap hit about $570 billion, shooting by Apple’s mere $535 billion. So Alphabet is on top, for now. And like Apple, blogs are reporting that Google may be preparing to take tighter control over its own Nexus hardware line, much like Apple’s iron grip on both the hardware and software for its iOS devices. In other good news for Google, its Gmail service now has 1 billion monthly active users, making it just about the most popular free email service in the world. Also in the One Billion Users Club: WhatsApp. As a blog post on the WhatApp site helpfully points out, that’s nearly one in seven people on the plant using the app. 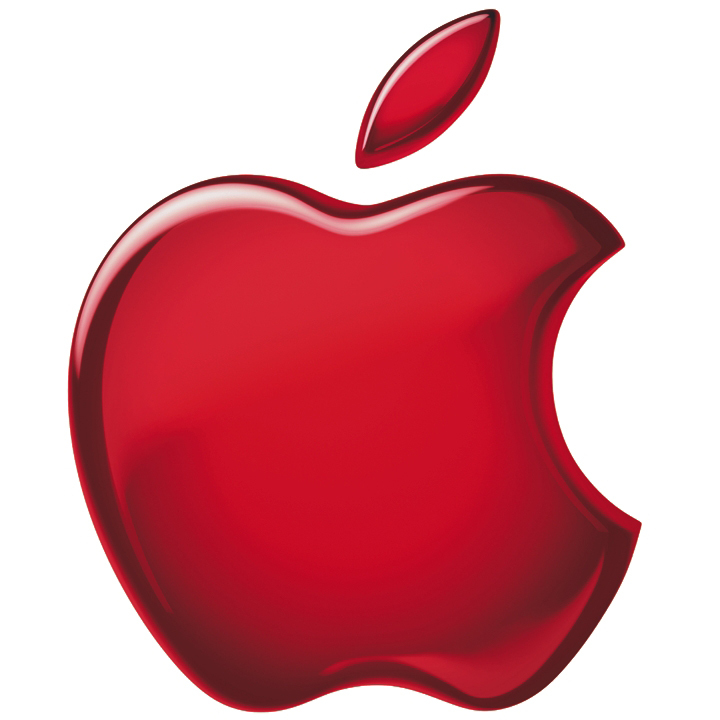 Speaking of iPhones, however, 9to5Mac.com is floating the idea that Apple will be having a big media event on March 15th to announce new hardware (including an iPad Air 3), but we haven’t seen any invitations yet. One thing Apple probably won’t be talking much about is the recent death of its ad-supported iTunes Radio service which only arrived in late 2013. If you try to play an old station you created and are not an Apple Music subscriber, you will get a nag alert telling you to sign up for Apple Music, where you can still use the stations as part of your subscription. 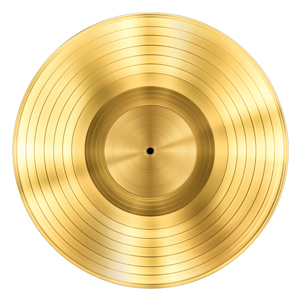 Also in streaming music news, The Recording Industry Association of America has said it will now include on-demand audio and video streams and a track sale equivalent for calculating those Gold & Platinum Album Awards. As announced on its site this week with the headline “Using Qualitative Feedback to Show Relevant Stories,” Facebook is making an change to the News Feed algorithm. Because that’s never happened before. Our favorite do-it-yourself site iFixit announced this week that it’s part of a new trade group called The Repair Association. The new organization represents professional and consumer repairers and is worth a look if you like to fix your own stuff. If you watch A LOT of television and find that two — or even four — TV tuners are just not enough, the DISH network is ready to help you out. It just released the DISH Hopper 3, a digital video recorder with a 16 tuners and built-in 4K resolution. The Hopper 3 is available for about $15 a month to Dish Network satellite TV customers. Meanwhile, across the pond, the European Commission and the United States have resolved that little tussle over the old Safe Harbour system for American companies handling the privacy rights of Europeans. The new framework is to be called the EU-US Privacy Shield. According to Open Signal’s “State of Mobile Networks: USA” report, T-Mobile has won three network comparison tests, including 3G download speeds and latency, as well as 4G speeds. Verizon had the most 4G coverage, so Big Red still gets some bragging rights. And finally, it seems like everyone’s into selfies these days, including the Mars Curiosity Rover. The interplanetary exploratory vehicle sent back a self-portrait comprised of 57 separate images of itself — taken not with a selfie stick, but with the Mars Hand Lens Imager (MAHLI) camera positioned at the end of Curiosity’s robotic arm. The images were also used to create a 360-degree video of the Martian landscape for Facebook. 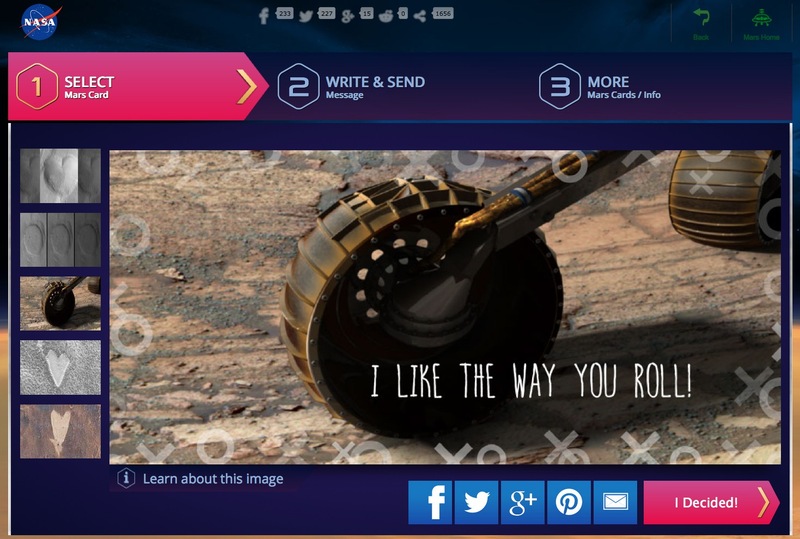 The little rover didn’t stop its social-media onslaught there: If you happen to be crushing on a fellow NASA enthusiast this month, be sure to send one of Curiosity’s special Valentine’s Day cards to the object of your affection. Ain’t love (and science) grand? If it’s early January, you know there’s going to be a warm blast of hot air coming from Nevada no matter what the actual weather forecast. Yes, it’s time for the Consumer Electronics Expo out in Las Vegas! The show is underway this week and the product announcements are popping out left and right. Creations like the OMbra, a $150 brassiere with fitness tracker tech built right inside have already snagged headlines. Wearables in general are a big trend this year, as are even more gadgets for your smart home. The Ford Motor Company is adding Apple’s CarPlay and Android Auto to its 2017 models, newer, faster drones are on the way, virtual reality gear is finally here and many more products will be sporting a USB-C port in the future. 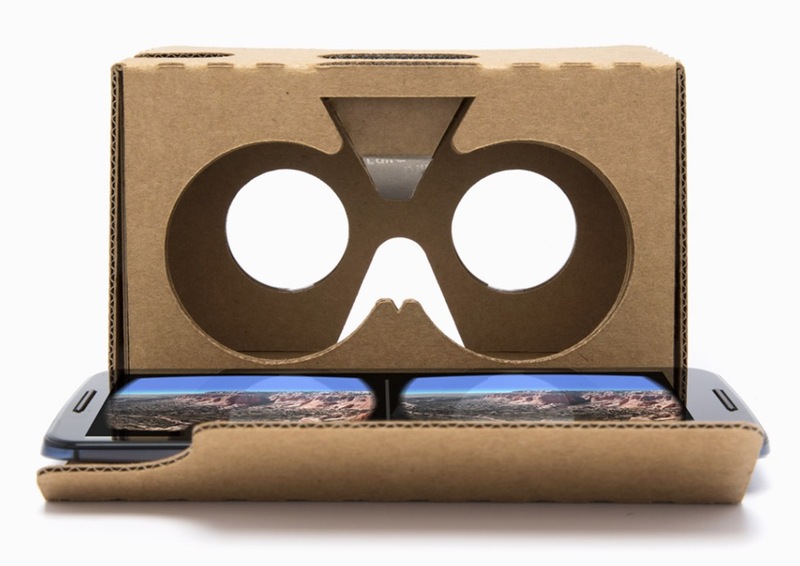 Some journalists are finding this year’s crop of tech to be a tad underwhelming, though. Speaking of things that aren’t what they appear to be, the Electronic Frontier Foundation has tested out T-Mobile’s Binge On service. 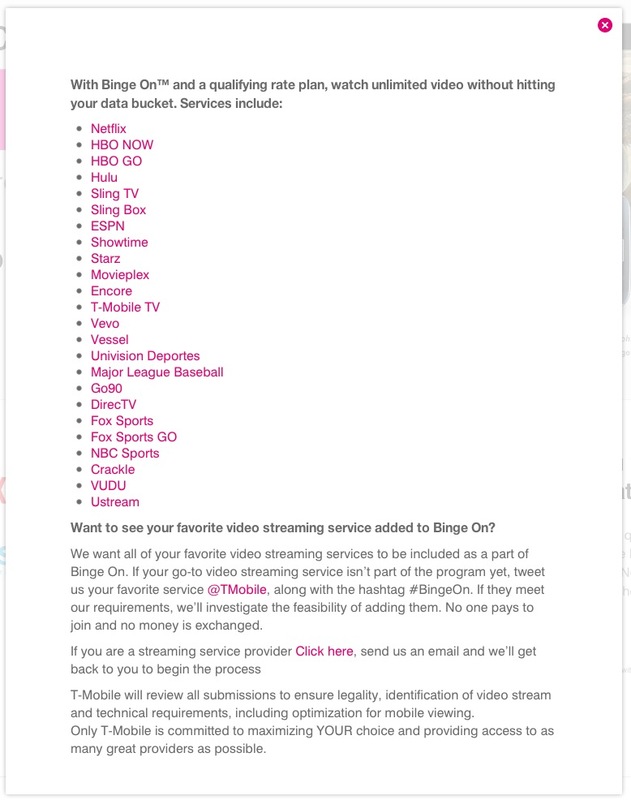 After the EEF looked a little deeper and found that T—Mobile was actually “optimizing” ALL video streams, even those from non-Binge On participants. The EFF is now calling ion the FCC to take a look into this service, which could be more accurately called Throttle On. Some analysts are predicting a rough 2016 for Apple, citing a somewhat boring year of products in 2015 — the year that saw the Apple Watch, a revamped Apple TV and a great big iPad. Then again, remember that Apple has $206 billion in cash on hand and is expected to do $77 billion in sales this quarter. 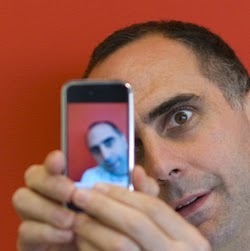 Apple does not care about you, analysts. In the Department of Scary News, security blogger Brian Krebs has a recent post about how some companies don’t properly verify the identifies of their customers for things like password resets. He bolsters his argument with the story of how his own PayPal account got hacked. Could a power outage in Ukraine last month have been the latest shot fired into the Internet of Things in the creeping cyberwar? Kalev Leetaru, a guest contributor over on the Forbes website seems to think so. He describes an incident that took place in late December where several cities in Western Ukraine lost power for about six hours and very sophisticated malware was found on the computer systems of the power company. Twitter has plans for the first quarter of 2016 and is said to be working on a feature that gives users a 10,000 character limit for tweets, up from the current 140 characters. No specific launch date has been set and Twitter is not confirming anything. Some have already noticed that Direct Messages have a 10K character limit as well, so perhaps it’s not a totally new thing from inside Twitter HQ. Mark Zuckerberg, boss of Facebook, has some goals for the New Year. As stated on his own Facebook page, this year’s personal challenge is to build his own voice-controlled artificial intelligence powered software assistant to run his home. 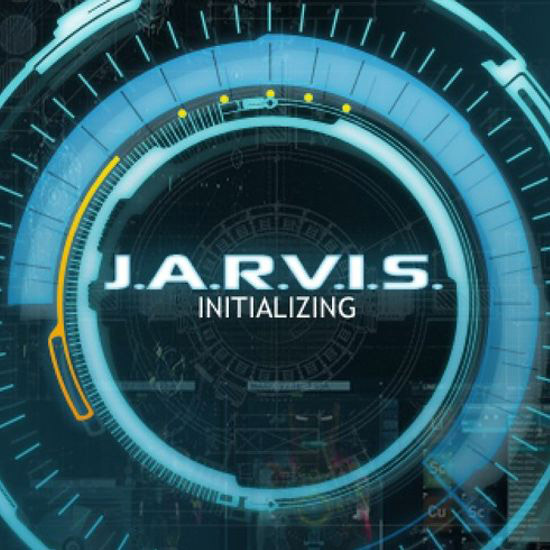 “You can think of it kind of like Jarvis in Iron Man,” Mr. Zuckerberg writes. We’ll check back on this one at the end of the year. 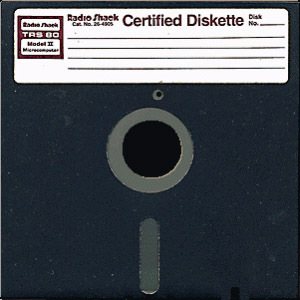 And finally, the DriveSavers company has been called upon by many to rescue digital data from crashed hard drives and other unfortunate incidents, and the engineering team there has now been credited with excavating text files from 200 old 5.25-inch floppy disks that belonged to the late Star Trek creator Gene Roddenberry. Although DriveSavers said it got about 95 percent of the text back, one thing it couldn’t talk about was the content of the files, which was subject to privacy agreements with Roddenberry’s family. But let’s keep an eye out for some “recently discovered” Roddenberry scripts in the next new months. It’s been a week of hacking, cracking and more than a little tracking. 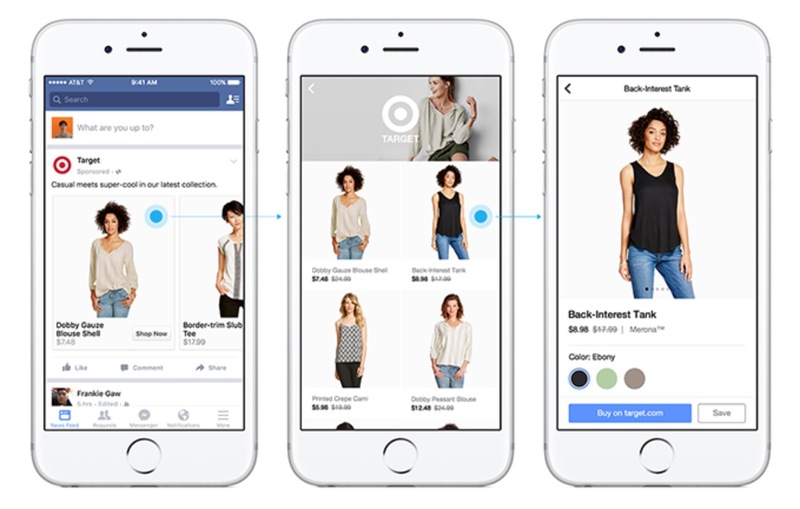 For starters, Facebook, which is never shy about getting all up in the content you post on the site, is now testing its Photo Magic feature on its Australian users. So, what is Photo Magic? It’s a Facebook tool that jacks into your phone’s Camera Roll to look for pictures you haven’t yet posted — and then suggests that you send those images to the friends it recognizes through the Facebook Messenger app. Privacy advocates, start your engines. Also in nosy news, a Belgian court has ordered The Social Network to stop using its special web-tracking cookie on visitors who are not Facebook members. And the Federal Communications Commission has dismissed a petition from the California-based Consumer Watchdog group that would have required big content-and-apps sites like Facebook, Google, YouTube, Netflix and others to honor the Do Not Track requests from browsers. Tumblr has added instant messaging for its users. Go, team! No Internet connection? Google Maps has added offline navigation and search to its Android app. Oh, and in case you were waiting for it, the Android app version of Apple Music is now out.Google also announced that as of April 2016, it was discontinuing Chrome browser support for on Windows XP and Vista, Mac OS X 10.6 to 10.8. 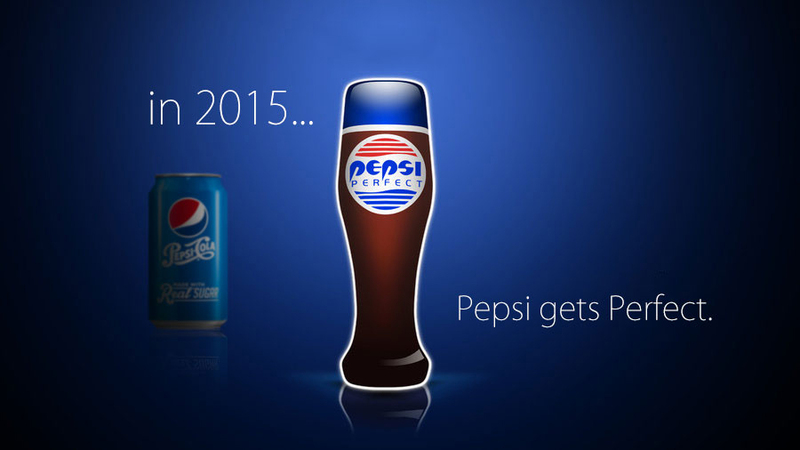 So long, outdated operating systems! Like video? T-Mobile has also added a new plan called Binge On that lets its users stream content from popular video services like Netflix and HBO Now without denting their data plans. However, some critics note that because not all streaming services are included in the Binge On plan, T-Mobile may have some net neutrality issues to work out with the FCC. Apple’s iPad Pro went on sale this week, with online orders starting Wednesday and the big slab hitting shelves a few days later. The tablet with the 12.9 inch screen has a starter price of $800 for the 32-gig Wi-Fi only version and the tags go north from there. Optional accessories like the $100 Apple Pencil stylus and the $170 Smart Keyboard, which turns your iPad Pro into a Microsoft Surface, also went on sale this week. And more reasons for Apple to be happy – a federal district court judge threw out a class-action lawsuit brought by Apple Store employees who wanted to be reimbursed for the time spent in the office bag-search line to make sure they weren’t nicking the merch. Moving on to the exciting world of cable television, Time Warner Cable officially announced its TWC TV Roku Trial program in New York City. If you’re interested, you can sign up for the trial. Also in cable news, an internal Comcast memo that got leaked and posted on Reddit admits that the company’s 300-gigabyte-per-month data caps recently imposed on customers in several southeastern cities to improve network performance is not actually about improving network performance. Meanwhile, up on the International Space Station, astronauts Scott Kelly and Kjell Lindgren took an almost 8-hour space walk late last week to do a little maintenance. A tweet from the International Space Station’s Twitter account described the chores as “serious high-flying plumbing and cable work,” while NASA reported the mission as the two “restored the port truss (P6) ammonia cooling system to its original configuration.” The Space.com site has an excellent rundown of the walk. And finally, the Hour of Code is always upon us, but this year, there’s an even bigger push to get women and people of color into programming. To help lure the kids in, the Code.org site is teaming up with Disney/Lucasfilm to have Star Wars characters help with the learning. As explained on a Disney blog, “Students will learn to write code that allows them to create games using Star Wars characters.” This is all part of the third annual Hour of Code event that’s part of Computer Science Education Week, which takes place December 7-13 this year. May the Code be with you! Microsoft is very disappointed in your behavior, people. The company once grandly promised unlimited OneDrive cloud storage to its Office 365 users — but is now taking it away because a few users got a little greedy and backed up more than 75 terabytes of data each to Microsoft’s servers. New, lesser data plans are on the way for everyone now. 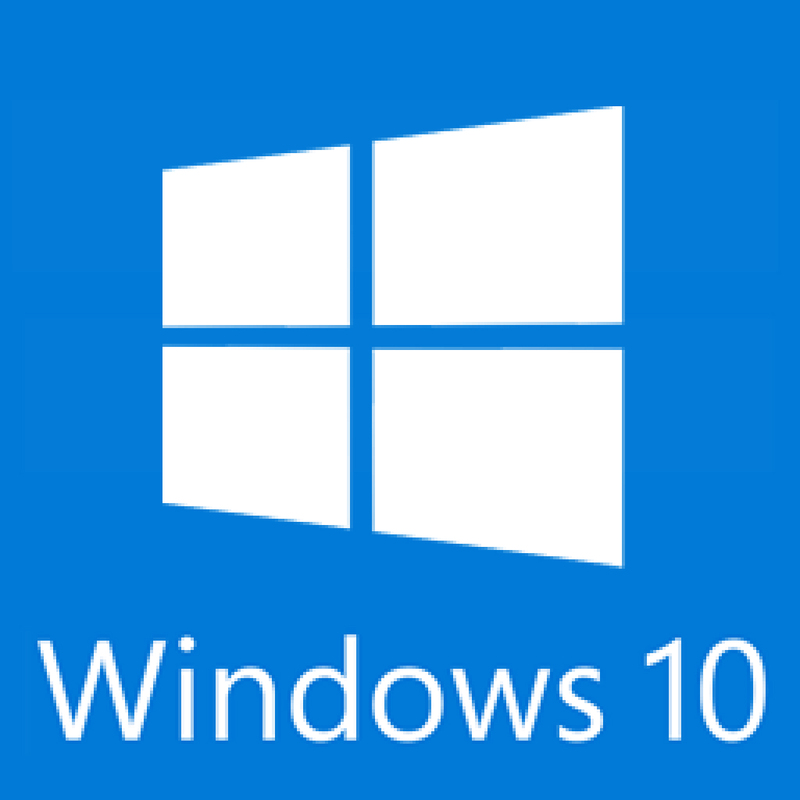 Microsoft is also leaning on Windows 7 and Windows 8.1 users to hurry and just upgrade already to Windows 10. Windows Update is pushing out the new operating system as an automatic update that could sprout on your system, if your PC is configured to install certain types of updates on its own. Activision Blizzard is acquiring King Digital Entertainment for $5.9 billion dollars. 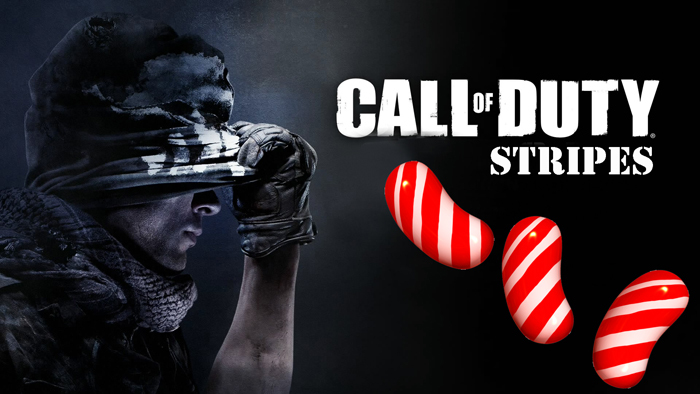 Call of Duty and Candy Crush are in it together now. If you get lousy 4G LTE reception with your T-Mobile device, the company has a way to make it up to you. Big Pink is offering 4G LTE CellSpot mini cell-towers to its customers. Amazon is going from clicks to bricks and opening up its first physical bookstore in Seattle this week. But while Amazon is getting physical with the retail, several sources report that Google is ditching plans to open its own store in New York City. Rents in New York are rather impossible these days, you know. Google took to its blog this week to say, no, no, no, we are not killing of the Chrome OS in favor of Android for laptops. 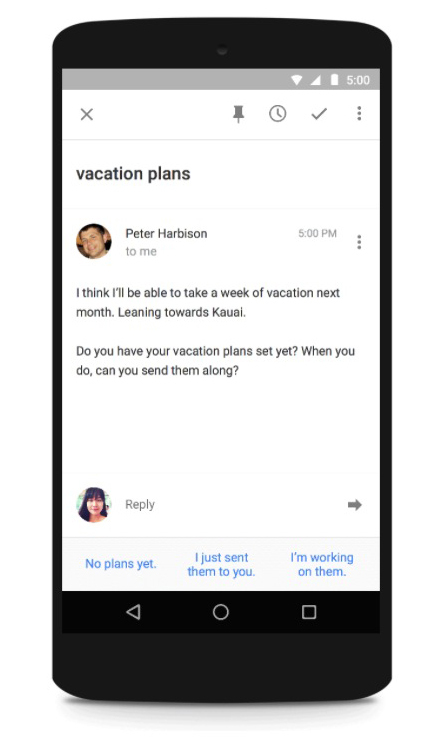 The company also announced a new Smart Reply feature that actually answers mail for you with one of three calculated responses. Google’s Project Wing — better known as its drone-based package-delivery service — is scheduled to launch in 2017. The announcement came as part of an air-traffic control convention being held in Washington. Project Wing (not to be confused with Project Loon) was revealed last year. And while we’re talking about drones, aerial tech company DJI has just announced a new embedded computer designed for drones. It’s called the Manifold and it runs on Ubuntu Linux. Go, penguin, go! Fans of the Plex media server will be happy to know there’s now a free version of the software that now works with the latest Apple TV. You can find it in the Apple TV app store. This week marks the 15th anniversary of astronaut occupation aboard the International Space Station. Time flies — and so do the shuttles and cargo craft keeping the ISS going. And finally, we knew it wouldn’t stay away forever, but now Star Trek is returning to television — but in a new way. Instead of exploring space through standard network or syndicated broadcasts, this new show will be shown on the $6-a-month CBS All Access service. Will enough Trekkers pile on board to let CBS give Netflix, Hulu and Amazon a run for their money in the original content department? We’ll find out in 2017 when the series leaves port. The Star Trek franchise celebrates its 50th birthday in 2016, having debuted back in 1966. Yes, Star Trek will soon be eligible to join the AARP — and that roadside assistance may come in handy when the timing belt snaps on one of the Enterprise’s impulse engines out in the middle of nowhere. After we recorded last week’s episode (of course), news broke that the Comcast deal to acquire Time Warner Cable was kaput. 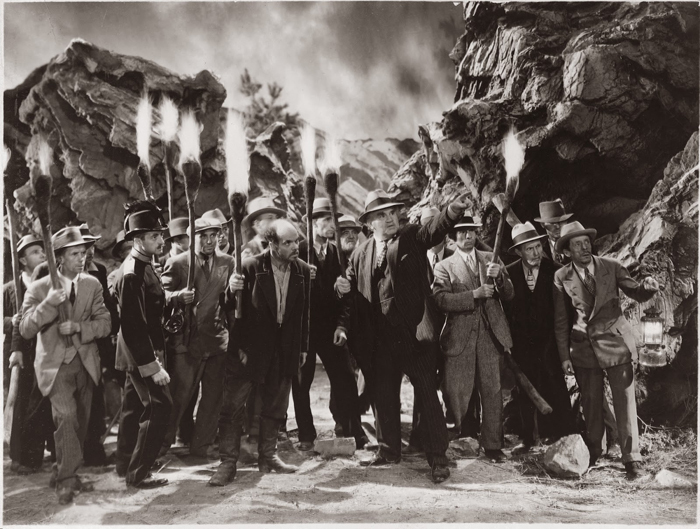 While those worried about cable monopolies were happy the Comcast deal was scuttled, not everyone was thrilled about it — namely Time Warner Cable customers who say their quality of service is so miserable, that a Comcast takeover surely would have been an improvement. The New York Times had a story this week that talked to a few of those desperate souls trying to watch Game of Thrones from the Tenth Circle. Also in cable news, ESPN is suing Verizon for breach of contract over those slimmed-down channel bundles. Fox and NBC seem poised to board the USS Lawsuit as well. The iPhone 6 line and the Apple Watch are boosting the use of Apple Pay, and Discover is the latest credit-card company to join up with Apple for mobile payments. Best Buy has also added Apple Pay to its mobile app and said its retail stores will be accepting those phone-tap payments at the cash register later this year. And speaking of those Apple Watches that started shipping last week, the Slice Intelligence research firm estimates that only 22 percent of the 1.7 million pre-ordered Apple Watched actually shipped to customers last week. But as we all know, the Apple Watch is just one of many smartwatch platforms out there an the rest of them aren’t exactly sitting still. Last week, before Apple’s pricey timepiece began rolling out on FedEx trucks, Google announced an update to its Android Wear software that’s used by several hardware makers. The company outlined the new features, like support for WiFi-enabled watches, scrolling through news and notifications with the flick of a wrist, and the ability to launch apps with a tap on the watch face. 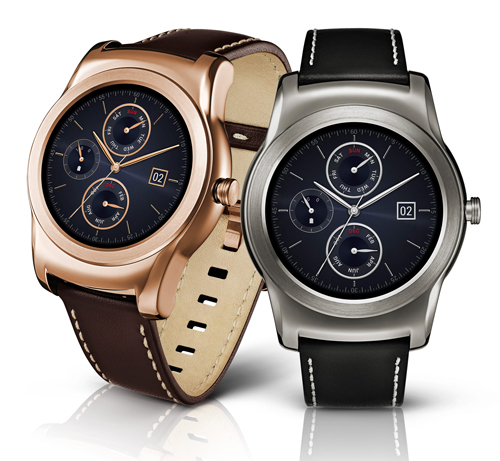 Google said the new version of Android Wear would be arriving in the next few weeks to all seven watches that support it, and the fancy LG Watch Urbane (shown here) was first in line for the update. Stylish smartwatches aren’t the only devices LG Electronics is releasing this spring, as the company just revealed its new authentic leather-backed Android smartphone, the LG G4. Google just added 70 cards to Google Now from its partner apps, so you can get more creepy helpfulness than ever before. Even more! T-Mobile had some good earnings news of its own this week. Thanks to its inventive campaign of promotional offers and price cuts, the company added 1.1 million new monthly subscribers, which was more than analysts had predicted. Not everyone had good earninsg to report, though. Twitter’s stock price took a hit after a research company leaked the bird-themed microblogging service’s less-than-desirable quarterly earnings report. SwiftKey, the popular alternative mobile keyboard app, is experimenting with a new variation that can correct multiple words or even whole sentences you’ve tapped out. The new edition is called the Clarity Keyboard and you can download the beta from the Google Play store now. Microsoft got just smacked down by a judge at the US International Trade Commission who found that Microsoft was guilty of infringements on two wireless cellular patents held by another company called InterDigital Inc. As a result of the ruling, Microsoft could see an import ban that would stop its devices from coming into the country and hinder Windows Phone sales even more. The judgement needs to be reviewed, however, and Microsoft is vowing to press onward. 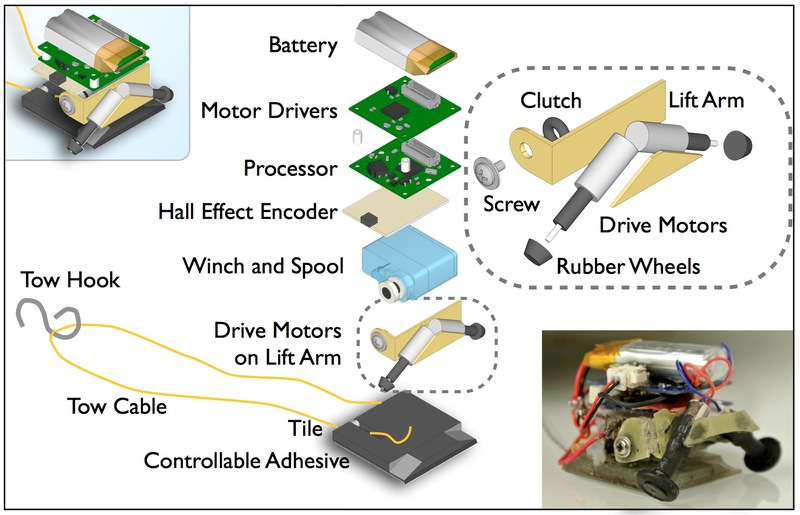 In robot news, those clever folks at Stanford University have developed tiny robots that can pull objects up to 2,000 times their own body weight. The little wonders are called “MicroTugs” and in addition to physics and engineering, the Stanford scientists took some cues from the natural world and incorporated techniques used by hardy ants — as well as geckos with their conveniently sticky feet for traction and climbing. You can see videos of the wee robots dragging cups of coffee and climbing with a payload are on the department’s YouTube channel. Microsoft’s Skype and a few other services have temporarily waived fees for calls to and from Nepal, as have T-Mobile, AT&T, Sprint, Verizon Wireless and Time Warner Cable. Facebook quickly put up a Safety Check feature that let its users in the quake zone let their friends know they were okay. Twitter’s official India account has been posting updates for those around the world wanting the latest news on the recovery efforts. 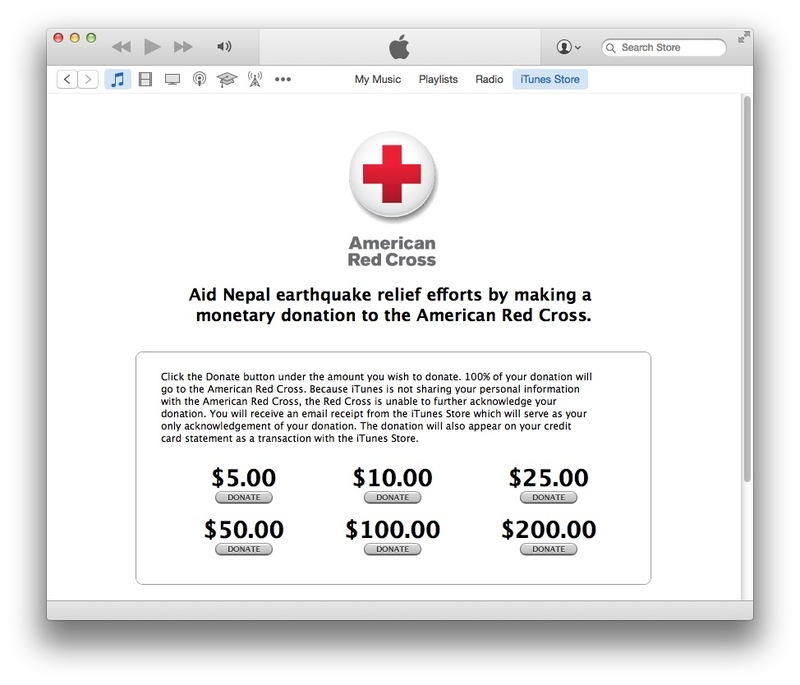 Apple has added a page to iTunes that lets users easily donate to the Red Cross through their iTunes accounts. Other new organizations have posted links to relief agencies and other organizations that are taking donations to help the people of Nepal. If you can, send help because we’re all in this world together.